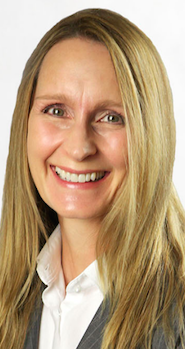 The March 22 by-election in Calgary-Greenway kicked off this week with the defending Progressive Conservatives already embroiled in scandal. Four candidates were expected to contest the PC nomination at a meeting scheduled for Feb. 27, but the local constituency association decided on Feb, 23 to forgo the nomination process and appoint their own candidate at a meeting. Instead they chose Prab Gill. 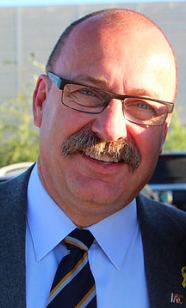 Interim leader Ric McIver endorsed the decision in a noted posted on the PC Party Facebook page this morning. For two of the four prospective Tory candidates, this is the second time they have been overlooked in favour of an appointed candidate. Ahead of the 2015 election, Jamie Lall was disqualified from challenging Wildrose-turned-PC MLA Bruce McAllister in Chestermere-Rockyview and Dan Sidhu stepped aside when Rick Hanson was appointed as a star candidate in Calgary-Cross. This is not the first time the PCs have decided to appoint a candidate in this constituency rather than allow members to vote for a candidate through an open nomination contest. Before the 2012 election Calgary-Greenway was known as Calgary-Montrose, and the MLA this by-election is being held to replace, Manmeet Bhullar, was appointed by the party leader as a candidate. 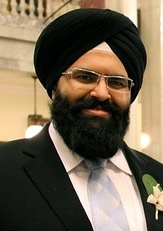 Then a law student at the University of Windsor, Mr. Bhullar was appointed by Premier Ed Stelmach ahead of the 2008 election following a nasty dispute between the party and the local constituency association. The Calgary-Montrose Tories had been involved a prolonged legal dispute with the provincial PC Party, in which the local Tories were suing the PC Party for more that $180,000 in legal fees amassed during a botched nomination contest held before to the 2004 election. Prospective candidate Gus Baron claimed he had been unfairly disqualified from that nomination contest. Four years later, the local PC constituency association refused to hold a nomination meeting when PC MLA Hung Pham decided to not seek re-election before the 2008 election. Instead, a committee of Calgary-Montrose PC members named local pastor Ron Leech as their candidate before his nomination was quickly overturned by the central party. 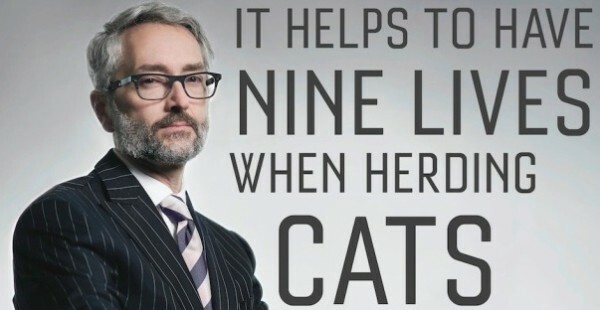 Mr. Leech would run as an Independent candidate in 2008 and as a Wildrose Party candidate in 2012, during which his controversial comments would become a flashpoint of the campaign. Back to 2016, the Tories obviously felt some urgency to appoint a candidate and holding an open nomination process would have demonstrated that the PCs were a vibrant political organization and that they had learned a lesson from the rash of nomination scandals that bruised the party before the 2015 election. Update: Ric McIver released a second statement on evening of Feb. 24, 2016, reversing his initial endorsement of the Calgary-Greenway nomination process. This entry was posted in Alberta Politics and tagged Alberta PC Party, Bruce McAllister, Calgary-Cross, Calgary-Greenway by-election, Calgary-Montrose, Chestermere-Rockyview, Dan Sidhu, Ed Stelmach, Gus Baron, Hung Pham, Jamie Lall, Manmeet Bhullar, Prab Gill, Prabhdeep Singh, Rick Hanson, Ron Leech on February 24, 2016 by Dave Cournoyer. Alberta’s opposition parties are preparing for a spring by-election in Calgary-Greenway. The east Calgary constituency was represented by Progressive Conservative MLA Manmeet Bhullar from 2008 until late 2015, when Mr. Bhullar was killed in a traffic accident on the Queen Elizabeth II Highway. A by-election is expected to be called before the end of May 2016. The Green Party is the first party to nominate a candidate to run in this by-election. Environmental engineer Thana Boonlert will carry his party’s banner. Mr. Boonlert recently ran as a federal Green Party candidate in the Calgary-Centre riding, where he earned 2.2 percent of the vote. I am told the New Democratic Party has scheduled its nomination meeting for Feb. 20, 2016, though this is not publicly listed on the party’s website. Past NDP candidate Don Monroe posted on his Facebook Page on Feb. 1, 2016 that he is “wondering what’s going on in Greenway concerning representation” and is still waiting for the party to inform him when a nomination meeting will be held. Mr. Monroe earned 36 percent of the vote in the May 2015 election, placing eight points behind Mr. Bhullar. The Progressive Conservative Party will hold a candidate selection meeting on Feb. 27, 2016 at Abbeydale Community Centre. Manmeet Bhullar, Aryan Sadat and Jim Prentice in 2014. Aryan Sadat has announced his intention to seek for the PC nomination. Mr. Sadat challenged former MLA Teresa Woo-Paw for the Progressive Conservative nomination in the Calgary-Northern Hills constituency in January 2015. In 2014, he hosted a fundraiser with then-PC leadership candidate Jim Prentice and Mr. Bhullar. Some PC members have expressed hope that Calgary police chief Rick Hanson will seek the nomination. 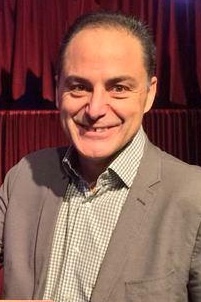 Mr. Hanson stepped down as police chief to run as a star candidate for the PC Party in the May 2015 election, but he was defeated by New Democrat Ricardo Miranda in the Calgary-Cross constituency. The Wildrose Party has scheduled March 5, 2016 as their nomination date. Robin Martin, son-in-law of Calgary-Forest Lawn Conservative MP Deepak Obhrai, is running for the Wildrose nomination. Memories of the 2012 election could haunt the Wildrose Party. 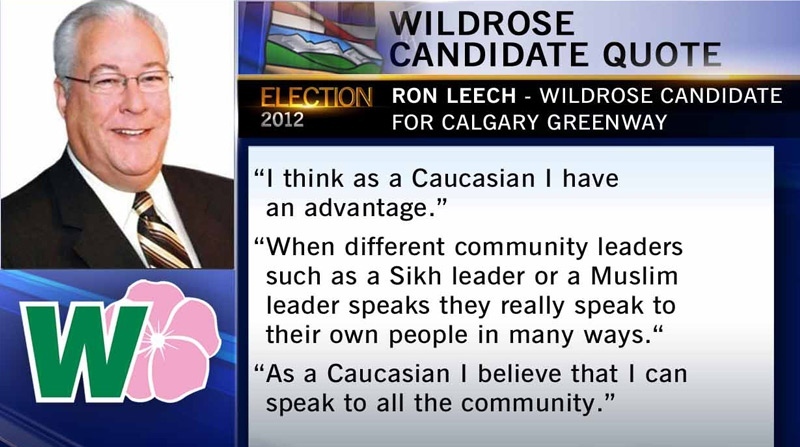 Four years ago, the party’s candidate in Calgary-Greenway helped destroy Wildrose chances of winning the election when he was quote as saying he had a Caucasian advantage in this multi-cultural constituency. These comments hit the newspaper headlines about the same time as the Lake of Fire blog post from another Wildrose candidate was made public. Those two comments have saddled the Wildrose Party with a reputation as being the party of social conservatives in Alberta. The Liberals have scheduled their candidate selection meeting for Feb. 29, 2016. A recent annual meeting of the local Liberal association was attended by the party’s interim leader David Swann, recent federal candidate Matt Grant, and Calgary-Skyview Member of Parliament Darshan Kang. Mr. Kang was the MLA for the neighbouring Calgary-McCall constituency from 2008 to 2015. It appears that the Alberta Party has yet to schedule a date for a nomination meeting. A recent poll released by Mainstreet Research showed the Wildrose Party with 32 percent support in Calgary, narrowly ahead of the PCs with 29 percent and the NDP with 24 percent. This entry was posted in Alberta Politics and tagged Alberta NDP, Aryan Sadat, Calgary-Cross, Calgary-Greenway, Calgary-Greenway by-election, Calgary-McCall, Caucasian Advantage, Darshan Kang, David Swann, Deepak Obhrai, Don Monroe, Lake of Fire, Manmeet Bhullar, Matt Grant, Rick Hanson, Robin Martin, Teresa Woo-Paw, Thana Boonlert, Wildrose Party on February 12, 2016 by Dave Cournoyer. Will Rick Hanson run for the PCs in Calgary-Cross? 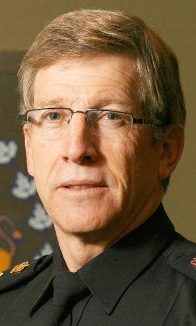 Will Calgary Police Chief Rick Hanson run for the Progressive Conservatives in the upcoming spring provincial election? 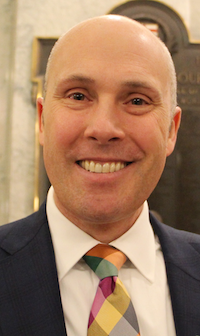 His surprise resignation announcement today timed with the PCs abrupt delay of their nomination in the northeast Calgary-Cross constituency until March 14 has led some political watchers to speculate Mr. Hanson could be appointed as a candidate. 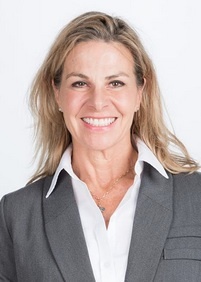 With the retirement of six-term PC MLA Yvonne Fritz, seven candidates are seeking the PC nomination in Calgary-Cross. Deep political divisions between the various ethnic groups backing those candidates led one political observer described the race as “a gong-show.” Appointing a high-profile outsider like Mr. Hanson might be a more palatable alternative for the PC establishment to holding a highly divisive nomination meeting that would be difficult to control. But Cross is not the only available spot. 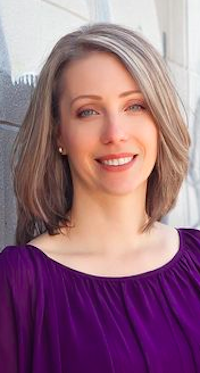 There are six other constituencies in Calgary that do not yet have PC candidates, including Calgary-McCall and Calgary-Fort, in which nomination meetings have not yet be scheduled. 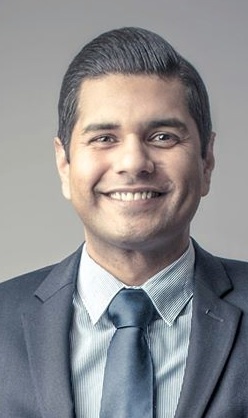 Calgary-McCall is currently represented by Liberal Darshan Kang, who is jumping into federal politics as the Liberal candidate in Calgary-Skyview. In Calgary-Fort, long-time PC MLA Wayne Cao is retiring and the New Democrats have recruited former five-term city councillor Joe Ceci. Mr. Hanson is already seen as close to Mr. Prentice, having invited him to ride alongside the Calgary Police Foundation during the 2014 Calgary Stampede Parade. Mr. Prentice was the Chair of the Calgary Police Foundation Fundraising Committee. 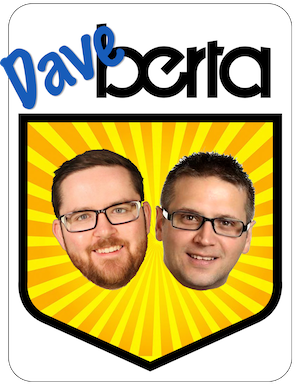 This would not be the first time the PC Party appointed a candidate in north east Calgary. In 2008, two days after the election was called, 27-year old university student Manmeet Bhullar was appointed by Ed Stelmach as the PC candidate in Calgary-Montrose. Mr. Bhullar is now Minister of Infrastructure and is considered one of Mr. Prentice’s chief political lieutenants. Mr. Hanson would be one of the latest in a string of police chiefs to jump into electoral politics. In Ontario, Stephen Harper’s Conservatives salivated when Toronto Police Chief Julian Fantino was able to steal a long-time Liberal riding in a by-election. In British Columbia, Kash Heed, the chief constable of the West Vancouver Police Department, briefly served as Minister of Public Safety and Solicitor General. While he would be a political unknown to most Albertans outside of Calgary city limits, Mr. Hanson would be one of the PCs first “star candidates” to be nominated for this election. And with most PC MLAs winning their nominations by acclamation and only a handful of low-key nomination contests underway, a high-profile name like Mr. Hanson’s could bring some much needed heft to a PC slate still heavily loaded with Redford-era MLAs. This entry was posted in Alberta Politics and tagged Calgary Police Chief, Calgary-Cross, Calgary-Fort, Calgary-McCall, Calgary-Montrose, Calgary-Skyview, Darshan Kang, Ed Stelmach, Joe Ceci, Julian Fantino, Kash Heed, Manmeet Bhullar, Rick Hanson, Stephen Harper, Wayne Cao, Yvonne Fritz on February 25, 2015 by Dave Cournoyer.